BOOK! The Badass Girl’s Guide: Uncommon Strategies to Outwit Predators, which is essential reading for young women 13 to 25, by CJ Scarlet! On Amazon & www.cjscarlet.com! the Amazon UK link is > https://amzn.to/2PXBkrj. As you know, women are at high risk for sexual assault in high school, and even in junior high! The Badass Girl’s Guide is the one book criminal predators don’t want young women to read. Filled with critical information about how to empower themselves to keep from becoming a crime statistic, this definitive, comprehensive guide contains facts and strategies not found in other personal security books. From tips on how to “fail” the predator interview and avoid being targeted, to instructions on using their personal bodily “weapons” to defend themselves in a confrontation, this book offers everything they need to know to stay safe, fight if they must and navigate the criminal justice process if the worst happens. Most importantly, the guide teaches young women how to claim their personal power and wear their confidence like a badge of honor to help repel predators. 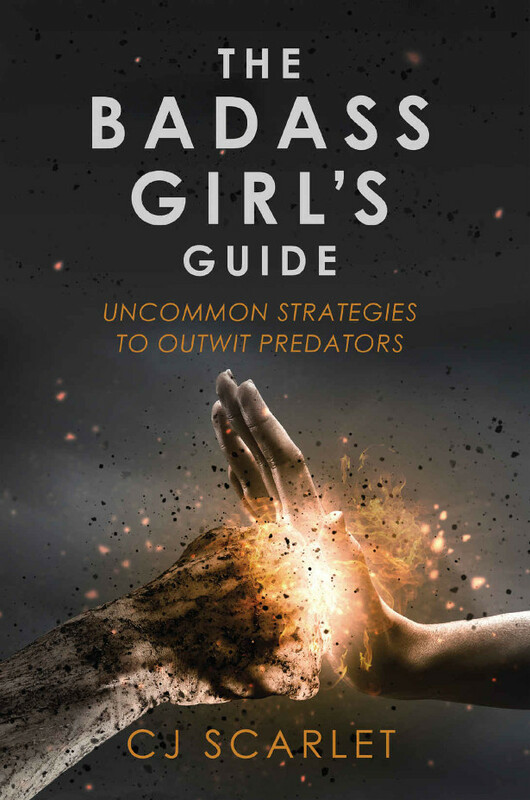 If you read just one book on personal safety and self-defense in your lifetime, The Badass Girl’s Guide: Uncommon Strategies to Outwit Predators is the one for you!